It’s so nice waking up to a sunny Saturday morning, especially with the week I’ve had. If you’ve read my posts this week then you’ll know I’ve had lots of change, lots of uncertainty and new adventures lie ahead for me. I’ve been scared and excited all at the same time. 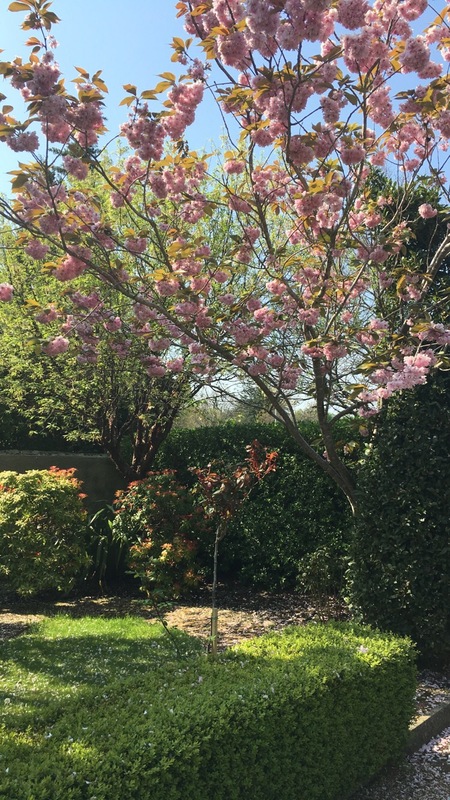 But as I look out on the sunny Dublin sky, and the blossom trees blooming in the garden, there’s something so reassuring in the fact that although everything changes, there are always some things that stay the same. The things that give us focus, the things that keep us going, the things that make us smile. Today I’m embracing change, I’ve done my mourning for things now passed, I’ve cried my tears. But today I’m going to celebrate, with a big glass of champagne, and I’m going to look forward to the future ahead, whatever that may bring. Hope you all have a lovely sunny Saturday too. Next > Happy 4th July!